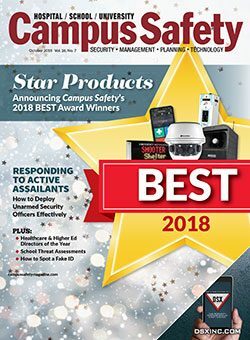 This issue highlights this year’s top campus public safety, security, emergency management and fire/life-safety products and introduces this year’s Healthcare & Higher Ed Directors of the Year. Also presented are strategic roles unarmed campus security officers can play when responding to active assailants and best practices school officials can use to improve or create their own threat assessment programs on campus. As always, there’s much more…enjoy the issue! Are Your Dispatchers Prepared for an Active Shooter?